Can a Scientist Working in India Win a Science Nobel By 2035? Indian science faces many problems and pursuing the goal of a Nobel Prize will not make them go away. It seems the minister of state for the ministry of science & technology and the earth sciences Y.S. Chowdary has been wondering for the last few years, “especially around the September-October time”, about why there have been no Indians living and working in India and who have won a Nobel Prize in the sciences since C.V. Raman. It’s a great question – since it comes at a time when the budget allocation for the Ministry of Science and Technology in 2016 is surging at Rs 8,100 crore. However, it isn’t the right question: an immediate reason is because it’s not the proper outcome to target for the issues assailing Indian science. In fact, Chowdary mentions in his interview (to PTI) that his ministry is now taking “corrective” but “non-monetary measures” so a living-in-and-working-out-of-India Indian can win a science Nobel Prize by 2035. The choice of year coincides with the ‘Technology Vision’ document prepared by the Technology Information, Forecasting and Assessment Council and released at the 103rd Indian Science Congress in January 2016. One of the minister’s comments in the interview serves as a starting point for why. He says that the country has “primary and high schools that lay strong foundations for science and math, great institutions of graduation and post-graduation, and we have high quality research institutions.” He’s mostly wrong. The Indian schooling system has been noted for its starkly ineffective approach to inculcating scientific skills and the scientific spirit, missing them for what it has often considered the more important goal of admissibility in colleges; the minister’s comments also gloss over discrimination. Our “great institutions of graduation and post-graduation” are few, apart from being excellent in a very specific group of subjects. And the best of our research institutions already have a tough time trying to win a Nobel Prize – a point that goes beyond the premise of Chowdary’s assumptions themselves. Overall, the minister is mistaken on three broad fronts: first, that winning a Nobel Prize by going through a process is at all possible; second, that course correction can be achieved using non-monetary measures alone; and third, that a Nobel Prize is the ultimate ambition – though the minister doesn’t say this explicitly, his prioritisation of it (by addressing it) indicates as much. All together, before aiming for the recognition of good science, the minister ought to be more concerned about the teaching, practice and inculcation of good science itself. Despite the Departments of Science and Technology (DST) and Biotechnology (DBT) budgets being high in absolute numbers, the overall research and development spending is limited to 0.9% of India’s GDP – a sizeable chunk of which is diverted to the civilian atomic and space research programmes. The DST/DBT numbers are in fact held up by them having received no midterm cuts in September last year. And even after Arun Jaitley announced the budget earlier this year, the DBT’s expectations of a 25-30% hike were met with a 17% hike; for the rest, the department’s secretary K. VijayRaghavan has said it will turn to the Atal Innovation Fund. The Department of Scientific and Industrial Research (DSIR), which oversees the multiple Councils of Scientific and Industrial Research (CSIR), received a feeble 0.76% hike. These shortfalls throw a spanner into the rate at which these departments hope to expand, scale down the number and size of grants that can be awarded and adversely impact the continuation of existing as well as the initiation of new programmes. On a more individual level, they also force scientists to spend more time looking for the funding and infrastructure that will allow them to continue their work instead of doing the work itself. Additionally, fellowships and salaries due scientists, especially young scientists, are not provided on time (as it happened in early 2014). Studies have shown that researchers are more productive early on in their careers than later. Slowing them down at this stage can be precarious. But then in June 2015, the central government went a step ahead. It announced that it was going to cut the CSIR’s Rs 4,000-crore budget in half and asked the centres to make up the rest through industry tie-ups, etc. – by around 2018. Though the centres’ incumbent director Girish Sahni is onboard with the directive, there is widespread bafflement within the community about how the 38 centres, their almost 5,000 scientists and 16,000 staff will make Rs 2,000 crore at all. Shri Krishna Joshi, a former CSIR director-general, told Science magazine in November 2015, “I fail to understand how frontier R&D institutions can become self-supporting in two years, unless they take on routine jobs like testing, which technicians at third-rate labs usually get subcontracted to do.” The other half of the CSIR directive was that the centres must work to better serve national programmes mooted by the government and submit reviews every year about their progress. All together, it was a blow to research freedom. Overlapping these monetary issues are the non-monetary concerns Chowdary has expressed an intention to address – though not specifically. For example, when an appropriate grant is indeed available, it is likely to not be disbursed on time. A scientist recently shared an anecdote about one of his colleagues at one of India’s better research institutions who hadn’t received a grant he’d applied for after more than five years (and much after the colleague’s project had been completed). Grants often take anywhere from six months to several years to arrive because, irrespective of which agency has okayed the grant, it’s the finance ministry that controls the disbursal itself. Another problem is that the amount approved may not ultimately be the amount received. Recently, the Science and Engineering Research Board, under the DST, announced a deadline-based system for accepting and processing grant proposals; Chowdary should expedite this proposal and not leave it on paper. Another notorious yet vastly underreported concern is in India’s schools and colleges. Simply assuming they’re great at disseminating mathematical and scientific knowledge is to look only at those who have benefited from them and to gloss over the many others who are disadvantaged simply by virtue of their socio-economic circumstances and/or gender. There have been many documented cases of underprivileged and/or lower caste students in high-schools and colleges who have been harassed, even if passively, because they weren’t fluent in English, didn’t fit in culturally, couldn’t afford to pay the fees, etc., and driven to drastic measures like suicide. In this sense, it is also important to improve the quality and accessibility of mental-health and sexual-harassment support within campuses before a student of science can be expected to focus on science alone. However, none of this is to suggest that fixing these or any other issues will set Indian researchers on the path to a Nobel Prize. There is surely no equation that, when whose parameters are sated, yields a lucrative or prestigious reward. Even if it is true that many Nobel laureates typically possess a significantly higher number of citations on their papers than non-laureates before winning the prize, there are many highly cited scientists who have not become laureates – even as tracking the citations alone does not yield a more granular picture about the academic conditions in which the laureates were able to succeed than to say that the conditions were excellent. For example: In a study published in July 2015 in the journal PLOS ONE, researchers found that winners of the Nobel Prize for physiology or medicine are typically better managers of social capital among their colleagues and students, and choose the people with whom they coauthor papers carefully. The authors of the study also found that scientists who coauthor papers with Nobel laureates are likelier to win the prize themselves. This invokes the question of access that India-based researchers have to foreign counterparts as well as the presence of foreign faculty at Indian universities. But there are problems aplenty confronting prospective foreign candidates. Satyajit Mayor, the director of the National Centre for Biological Sciences (NCBS), Bengaluru, and a recipient of the S.S. Bhatnagar Award in 2003, told the journal Nature earlier this year, “The notorious Indian bureaucracy is the country’s Achilles heel. For foreign scientists, getting permission to work in India can be complicated. The slow delivery of funds from funding agencies and the creaking research infrastructure can also be an issue. And high-quality research is mostly confined to a few top institutes.” As the same article reported, starting salaries for scientists are also among the lowest in the Asia-Pacific region and foreign faculty can’t avail pension schemes at publicly funded institutions. Within the country itself, on the other hand, Sunil Laxman, a stem-cell researcher at NCBS, said, “The major funding agencies in India all like collaborations and collaborative projects because it looks good on their portfolio. So they’ll support it if the institutes or individuals proposing it put together a half-decent case.” However, he cautioned that collaborations tended to turn ineffective either when “one side contributes disproportionately to the project” or when institutions inflict collaborations they’re participating in with their own insecurities, especially with a “what’s in it for me” attitude. Perhaps Chowdary can also bear in mind that in the four years that the Fundamental Physics Prize has been awarded, 38 Indians (all of whom live and work in India at least some of the time) have been winners? That Shiraz Minwalla won the New Horizons in Physics Prize for 2013? 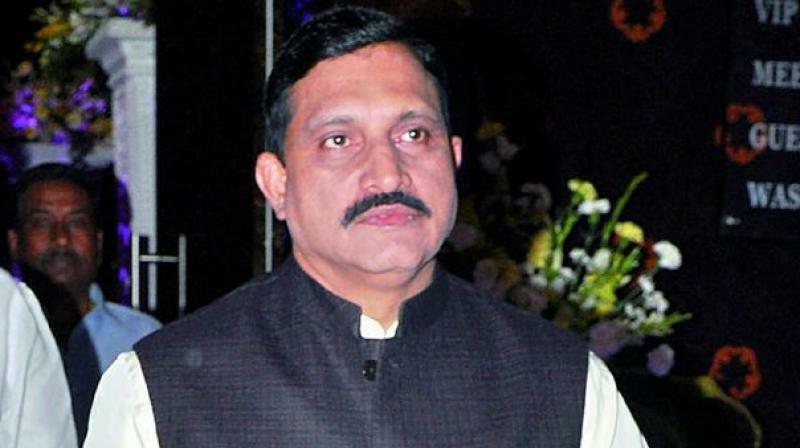 In fact, perhaps Chowdary can work on elevating the distinction of Indian prizes such as the S.S. Bhatnagar Award or, better yet, instituting a set of new awards that recognise and spur on early-career or underprivileged students of science who have shown promise so that they face fewer barriers going ahead. Or he can consider supporting the many Indian science journals and academies in their efforts to become more reputable. There is a lesson from the past here: one of the reasons Meghnad Saha didn’t win a Nobel Prize for physics was because he couldn’t afford to get his name associated with his work in a more renowned, and foreign, journal. Then again, all of these are diversions. A Nobel Prize or any other award of its kind – which are given in recognition of work done – should not be the ultimate ambition as much as to, indulging Chowdary’s as well as Modi’s ambitions, encourage researchers to focus better on the work to come. At the same time, if it serves as a springboard off of which the minister and his colleagues may come to notice, and fix, the various problems Indian scientists are facing as part of their work, then so be it. But it surely shouldn’t only be an “especially around the September-October time” concern.